OSWEGO, NY – Josephine A. Thompson, 73, a resident of State Route 104 West, Oswego Town, passed away Monday March 12, 2012, at home, surrounded by her loving family. Born in Oswego, she was the daughter of the late Leo and Ida (Briggs) Murray. 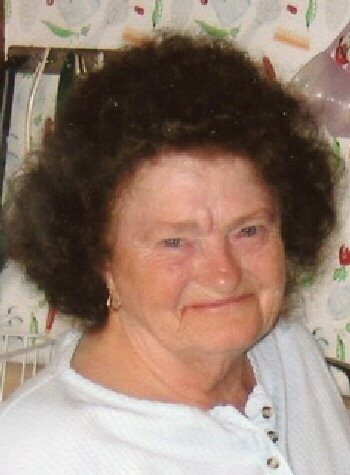 She enjoyed traveling, camping, taking boat rides, playing cards and bingo. Surviving are her husband, Thomas Thompson Sr.; two daughters, Susan Thompson and Karen (Emery) Fenske, both of Oswego; three sons, Thomas Thompson Jr.; William (Tammie) Thompson and Scott (Dawn) Thompson, all of Oswego; a brother, Melvin (Carol) Murray of Florida; three sisters, Fanny Burdick of Oswego, Laura Syrell of Oswego and Ethel Barney of Texas; grandchildren, Casey Thompson, Thomas Thompson III, Eric Thompson, Danny Thompson, Kate Thompson, Abby Thompson, Christina Thompson, Hunter Thompson, Matthew Thompson, Ron Visconti and Tammy Fenske; great-grandchildren, Riley Visconti, Jaden Thompson and Luis Mijangos; and several nieces and nephews. She was predeceased by her brothers, Bill and Floyd Murray; and a granddaughter, Heather Kanaley. Funeral services will be held at 10 a.m. Friday at St. Mary’s Church. Calling hours will be held 2-4 p.m. and 6-8 p.m. Thursday at the Nelson Funeral Home, 11 W. Albany St., Oswego. jose, you will be sadly missed by all. our sympathy to the family, we will be thinking about you and we will be there in spirit. Aunt jose you will be very missed. You were always a great lady. had lots of fun with jose and granny and aunt laura. My thoughts and prayers go out to the family.